The first phase of polling for Lok Sabha elections 2019 is set to take place in less than 10 days from now. With the poll battle hotting up, Congress President Rahul Gandhi on Tuesday released his party's election manifesto, with focus on jobs, farmers and women security. The Congress manifesto was released at Congress headquarters in New Delhi. Describing the manifesto as the 'voice of people', Rahul Gandhi said if his party is elected to power, its government would spend six per cent of the GDP on education. He also said if Congress is elected to power, its government would spend six per cent of the GDP on education. Senior party leader P Chidambaram asserted that 'wealth and welfare' is the manifesto's central theme. Accusing the ruling BJP of trying to take narrative to hyper-nationalism, Chidambaram said real issues in this general elections are unemployment, farmer distress and women's safety among others. BJP dubbed the election manifesto of the Congress "dangerous and unimplementable", saying it was aimed at "balkanisation" of India. The party alleged that though the Congress had set up a drafting committee, it appears that some important points related to Jammu and Kashmir were drafted by party chief Rahul Gandhi's friends in 'Tukde Tukde' gang. Prime Minister and BJP star-campaigner Narendra Modi spent the morning rallying in Odisha. Later in the day, Modi kickstarted BJP's campaign for the Lok Sabha elections in Bihar. 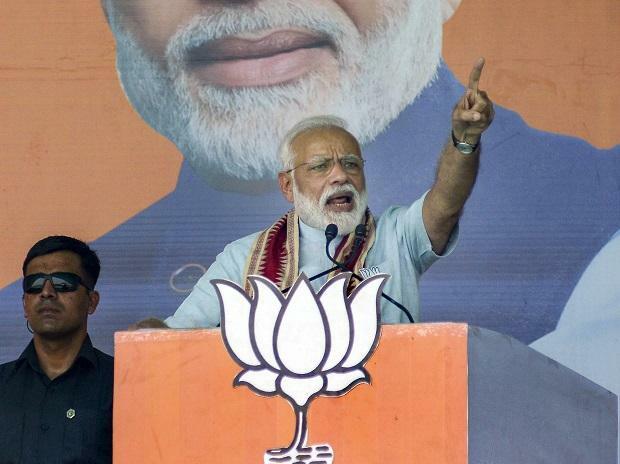 Addressing a rally in Bihar's Jamui, Prime Minister Modi said governance goes into reverse gear when the grand old party and its allies are in power. "Governance goes into reverse gear when the Congress and its allies are in power. Terrorism, prices, violence, corruption, black money rise when Congress is in power; the country's prosperity, its credibility, the morale of the armed forces, respect for honesty decline," Modi said. The seven-phase Lok Sabha elections are scheduled to be held from April 11 until May 19. The result of the polls will be declared on May 23.